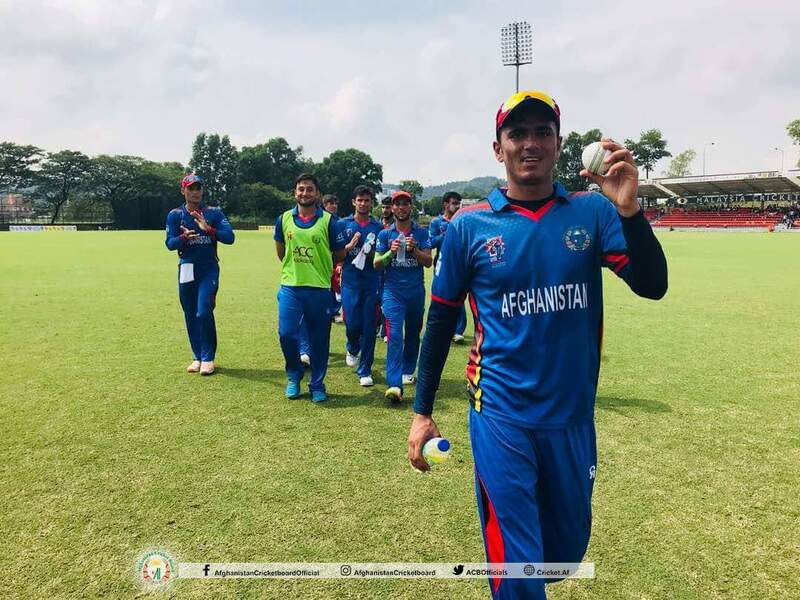 The Afghanistan Under-19 national cricket team defeated Pakistan in the Asian Cricket Council Under-19 Youth Asia Cup final match. Played at Kuala Lumpur, the Pakistani U-19s won the toss and elected to field first, allowing the Afghan batsmen to start their batting innings. Afghanistan lost 7 wickets during the 50 over game to set a target of 249 runs for the Pakstani Under-19 national cricket team. 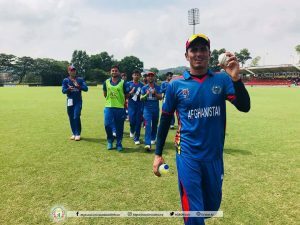 The Afghan Under-19s started their batting innings in an aggressive way with Ikram Faizi remaining not out after scoring 107 runs while opener Rahman Gul scored 40 runs. Other batsmen Ibrahim Zadran scored 36 runs, Darwish Rasooli 18 runs, Nisar Wahdat 7 runs, Tariq Stanikzai 5 runs, Qais Ahmad 14 runs, Navid Obaid 2 runs, and Abdul Wasi remained not out after scoring 1 run. The Pakistani Under-19 batsmen could not chase the given target and were all out after scoring 63 runs. Mujib Zadran once again shined on the bowling side and managed to take four wickets on the bowling side to restrict the Pakistani Under-19 batsmen to 63 runs from 22.1 overs.